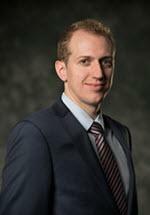 Brian M. Iwan joined Anselmi Mierzejewski Ruth & Sowle P.C. in 2017. Since joining the firm, Mr. Iwan has practiced in the areas of first and third party litigation. Mr. Iwan earned his Bachelor of Science degree from Grand Valley State University in 2011, and his Juris Doctorate from the Western Michigan University Cooley Law School in 2015. While in law school, Mr. Iwan earned the Certificate of Merit in Negotiation and Confrontation. Before becoming an attorney, Mr. Iwan worked in a law office focusing on family law and criminal defense. Mr. Iwan's prior experience includes working as an associate attorney at a Plaintiff's personal injury firm, focusing on first and third party litigation.